Our design team believe WordPress ranks above all the rest as a hosting platform. The open-source CMS works as an ideal model for creating a wide variety of sites for both small and large businesses, and is ideal for showcasing portfolios and products. Having a portfolio that’s professional, visually captivating and clearly showcases your work is vital for your business to achieve success and gain interest from new clients. So below, we’ve hand-picked some of the best WordPress themes for putting together a high end portfolio, that will grab your audience’s attention and gain you new clients and sales. 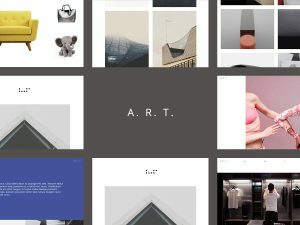 Creates beautifully fresh and contemporary portfolios with 12 unique layouts to choose from. Comes with access to over 500 fonts, colour choices, shortcode modules and so much more. Oshine also supports a large variety of plug-ins, including WPML, BuddyPress and Gravity Forms. A great choice if you’re looking for a stylish and modern way to display work visually. 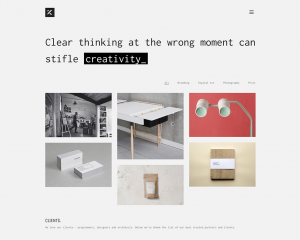 A great theme that’s easy to use, extremely fast loading and is ideal for those working within the creative industry. An elegant and artistic approach to portfolio design, you’ll have access to hundreds of fonts, colour choices, layout elements and designs and you’ll be able to use a variety of great options for animation. Adios allows for superb compatibility with all devices and browsers, and will ensure your site is noticed worldwide. Perfect for colourful, chic and customisable design, this theme comes with a coding-free content builder for ease of use. Ideal if you’re looking for an artistic and simplistic portfolio design, it’s packed with beautiful layouts with drag and drop options, fashionable headers and plenty of options for blog posts. You can also create stylish home sliders to showcase large images, and with SEO by Yoast you’re sure to have plenty of great options for getting noticed in search engines. A sensationally designed theme for those looking for a cool and contemporary twist to showcase their work in style. With numerous options for layout, images and blog posts, this WordPress theme also includes Revolution Slider, allowing users to display work through slideshow. You’ll be able to personalise the slides and create your own unique animations and visual effects too. 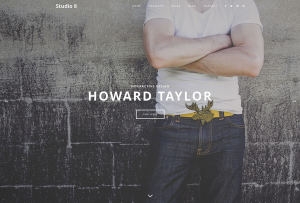 Rated as one of the best WordPress themes on the market, Studio 8 has a superbly sophisticated and stylish design. Beautifully fast and responsive, the theme provides great portfolio options to businesses of all backgrounds. You can upload custom headers and access built in short codes to make editing and designing easier. Known for creating attention-getting websites, this theme will help put your portfolio on the map.